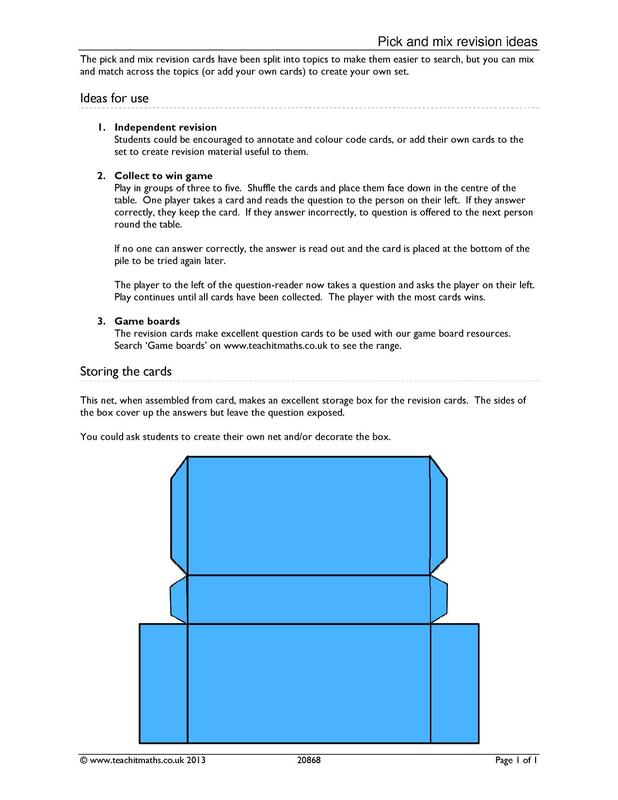 Teaching notes to accompany the Pick and mix revision cards, including a net for a box for students to store their cards, or ideas for games, including our maths Game boards. My students seem to have particular difficulty remembering what we have done immediately after the lesson let alone a couple of weeks later. I am writing one or two questions based on areas we've covered and then adding them to the box so that in any down time in the lesson, they have a meaningful task to complete. This is a brilliant resource - wish I'd thought of it.